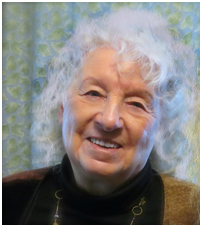 Lori Aletha has been producing the Northwest Psychic Fairs for nearly half a century. Now 87 years old, we believe she produces the longest running psychic fairs in the country. With an unerring eye for quality of readers/vendors/healers and a commitment to integrity, the Northwest Psychic Fairs have been an active contributor to Western Washington’s robust metaphysical community. Although Lori is usually unavailable for readings on fair days (somebody has to run the fairs), she is available for readings, including past life regressions by appointment.